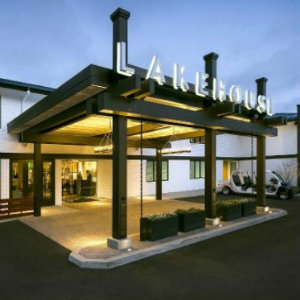 Who knew that there’s a lakefront boutique hotel in San Diego, aptly called Lakehouse Hotel & Resort. 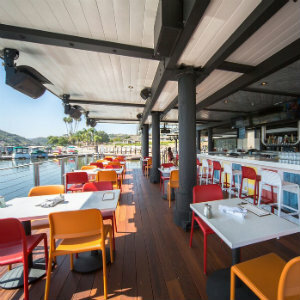 Lakehouse is a hidden gem for a seasonal retreat, the resort is on the shores of Lake San Marcos, and you can take advantage of a variety of outdoor activities with friends and family. You can swim in the pool on a warm autumn day, or take a boat ride after dinner, play tennis, or play a round of golf at the St. Mark Golf Course, Lakehouse Hotel & Resort is an ideal weekend getaway. For daytime excursions, there are 15 breweries within 15 minutes and beaches: Encinitas, Leucadia, Cardiff and Solana Beach are just a short drive away. 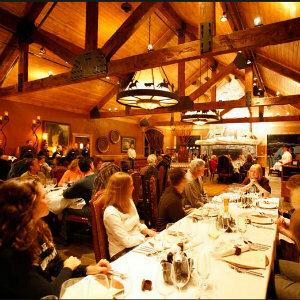 Other attractions are nearby such as the San Diego Botanic Garden, the Flower Fields of Carlsbad, Carlsbad Premium Outlets, California Center For The Arts, and Ferrara Winery. At check-in, you’ll receive a welcoming s’mores kit that you can use at one of the firepits on the property, and a list of fun activities on the lake: kayaking, paddleboarding, and boating and fishing. Guestrooms and private cottages are right on the edge of the water and overlook the lake’s woodland surroundings, now boasting the beautiful colors of fall. 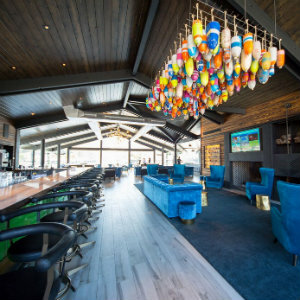 There’s no reason to leave the property—you can wind down with a cocktail at the floating lakefront bar or enjoy one of the best restaurants in San Diego--the two-story luxe-lodge Decoy Dockside Dining, recently featured in USA Today for its signature campfire-inspired cuisine. At night, each hour on the hour, you can enjoy the water show on the lake that’s unlike anything we’ve seen before. You can also enjoy Champagne brunch every Sunday at the Grill. There’s an on-site coffee bar, Canteen Coffee that serves up complimentary brews daily and espresso drinks to purchase, alongside grab and go snacks. Decoy features delicious starters such as Fried Brussels Sprouts with bacon jam, red-eye gravy, candied pecans, blue cheese; or Shrimp and Snapper Ceviche with salsa, cucumber, avocado, cilantro, crispy tortillas, lime; or Glazed Pork Belly with farmer's egg yolk aioli, crispy shallots, Fresno chili, and pickled root vegetable salad. There are also soups and salads such as Butternut Squash Soup with caramelized pear, coconut milk, and pumpkin seeds; and Harvest Salad with candied pecans, beets, roasted butternut squash, pomegranate seeds, goat cheese, red onions, mixed greens, crouton, and apple cider vinaigrette. Plated entrée selections include Scallops with sweet potato puree, car acara orange, Romanesco cauliflower, Tuscan kale, and pumpkin seed pesto; and Alaskan Cod, miso-glazed with braised leeks, shiitake mushrooms, smokey lentils, radish and soy; and Wild Boar Bolognese with rigatoni with smoked ricotta. Romance on the Lake. The lake is for lovers! This romantic package includes two robes to bring home, a welcome bottle of red wine, chocolate cake and breakfast in bed on the morning of your choice. While you’re gearing up for the holidays, this season calls for an escape for the most romantic time of the year. 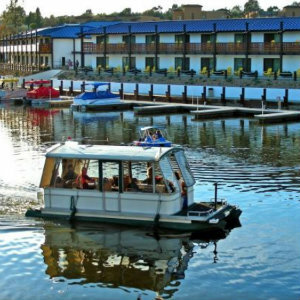 Switch out your pumpkin spiced latte for a bottle of red wine and indulge in a chocolate cake for two when you book Love on the Lake. The best part? You can enjoy your dessert while lounging in two signature Lakehouse robes. Guests can curl up and sleep late because breakfast in bed will be served in the morning! Rates start at $359/night. 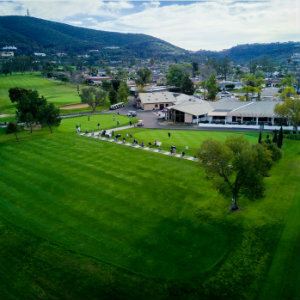 Stay at Lakehouse, play at St. Mark Golf Club! 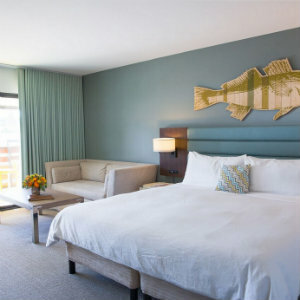 Enjoy deluxe room accommodations and golf for two when you book throughout the year! Two challenging layouts, one great experience. Everything is teed up for a great golf getaway. As a Lakehouse Hotel and Resort guest, enjoy member access to semi-private St. Mark Golf Club and St. Mark Executive Course. Lakehouse Hotel & Resort is at 1025 La Bonita Drive, Lake San Marco 760.621.0012. 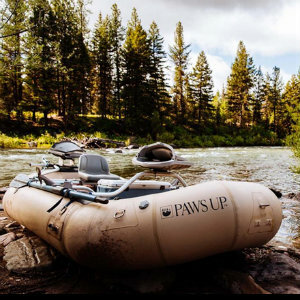 The Resort at Paws Up in Montana is known for its ultimate weekends of cutting-edge cusine continuing with Montana Master Chefs: Rising All-Stars, September 21–24. 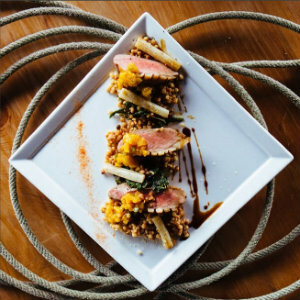 The Resort invites guests to dine on incredible cuisine from a select group of gastronomic geniuses during Montana Master Chefs: Rising All-Stars and the launch of Live Life Love Food on October 20–23 with Paws Up’s own Executive Chef Ben Jones. Guests will have the opportunity to experience incredible menus, taste exquisite wines, attend chef workshops, enjoy live music, wilderness adventures, spa treatments and more—all set under a never-ending Montana Big Sky. 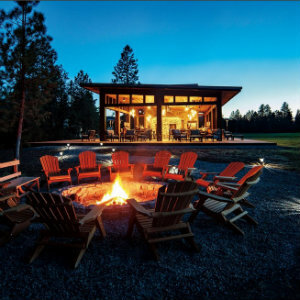 As part of the weekend event, guests can also partake in a myriad of wilderness adventures like horseback riding, river rafting or fly-fishing and will enjoy one-on-one interaction with some of the finest chefs, distillers and winemakers in the U.S. Montana Master Chefs 2017 will also feature cooking demonstrations and multicourse dinners prepared byup-and-coming all-stars in the culinary world including Chef Michael Corvino of Corvino Supper Club & Tasting Room (Kansas City), Chef Kevin Gillespie of Gunshow and Revival (Atlanta), Chef Annie Pettry of Decca (Louisville), Chef Garrison Price of Il Buco Alimentari & Vineria (New York), Chef Amanda Rockman of South Congress Hotel (Austin) and Paws Up’s Executive Chef Ben Jones. The chefs will also duke it out in a Master Chef Cook-Off Challenge. Paws Up is also welcoming Montana’s Whitefish Handcrafted Spirits as the featured distiller and the celebrated California vintners Kosta Browne Winery, Melville Winery and Steele Wines to provide tastings and pairings throughout the weekend. Among the many highlights will be nightly private concerts by Cory Branan, a punk-influenced country artist from Memphis; John Floridis, a talented Missoula guitarist, singer-songwriter and composer and Ali Solomon, a captivating singer and cover artist also from nearby Missoula. All-inclusive rates start at $1,000 per person per night for four days and three nights. 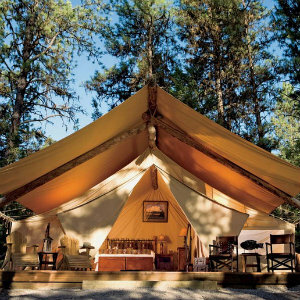 This fee includes a private home or tent accommodation; three meals daily for two adults (including breakfast, all featured lunches and multicourse dinners); wine, wine and more wine by guest vintners; all scheduled events; three wilderness activities of choice (per person); airport transportation to and from Missoula International Airport and on-property transportation. Live Life Love Food, on October 20–23 is a delicious course on how to incorporate exhilaration (Adrenalin) and renewal (Zen) into your everyday life, join Paws Up for their first Live Life Love Food daily exercises. As a complement to AdrenZen: Fall wellness weekend, Paws Up Executive Chef Ben Jones shares the philosophy behind his cooking—and his life. Watch firsthand as he mixes, twists and lifts his way through this brand-new weekend event. 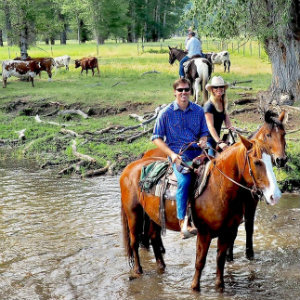 Guests will gain new insights into using food as nourishment and experience the dual health benefits of energizing activities and a ranch-based diet. They will learn how to translate locally sourced ingredients into artistic creations on the plate. For reservations, please call 877-588-6783. The Resort at Paws Up is also on Facebook, Instagram and Twitter. The Resort at Paws Up is at 40060 Paws Up Road in Greenough, Montana.